The solid zirconia O2 sensor allows precise control of oxygen levels in order to simulate in vivo conditions similar to a cell’s native surroundings. The MCO-170M-PA multigas incubator reproduces low oxygen concentrations that are often found in tissues, organs and pathogenic tissues. An optional high speed decontamination system uses hydrogen peroxide (H2O2) vapor to clean the incubator chamber in under three hours. The system safely and efficiently decontaminates with a 100% kill rate of major contaminants. 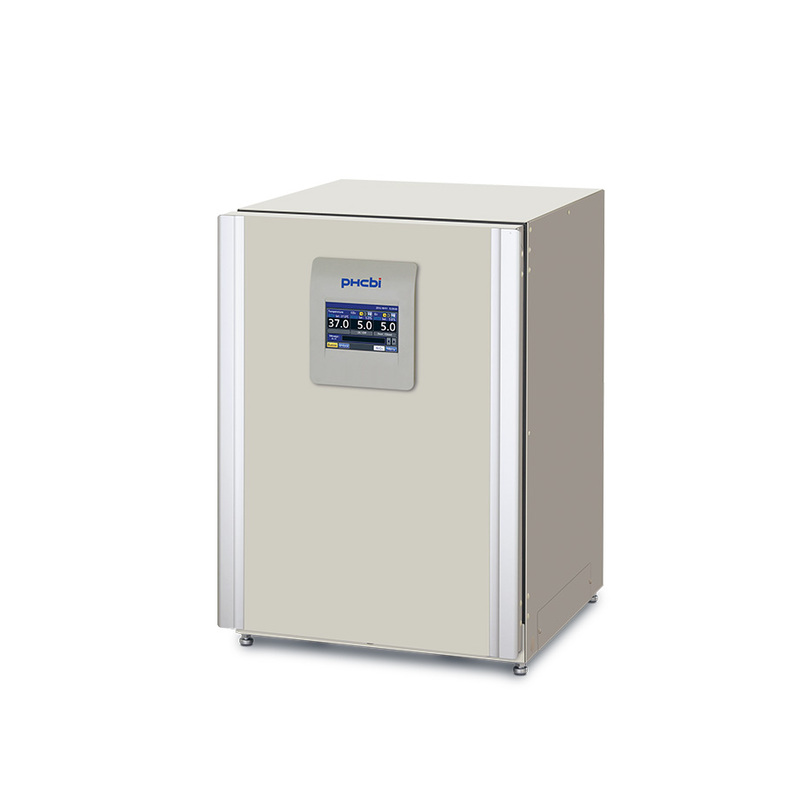 The PHCbi inCu-saFe combines the germicidal properties of elemental copper with the corrosion and discoloration resistance of stainless steel to deliver passive contamination control throughout the chamber interior. The SafeCell UV lamp provides safe, active and passive contamination control of circulated air and the humidity water reservoir. SafeCell scrubs and decontaminates circulated chamber air without affecting cell cultures in situ. Superior temperature uniformity and accurate temperature levels are achieved by the microprocessor controlled Direct Heat and Air Jacket System, which functions under microprocessor control. The high contrast color LCD display allows for easy, touchscreen use even with gloved hands. 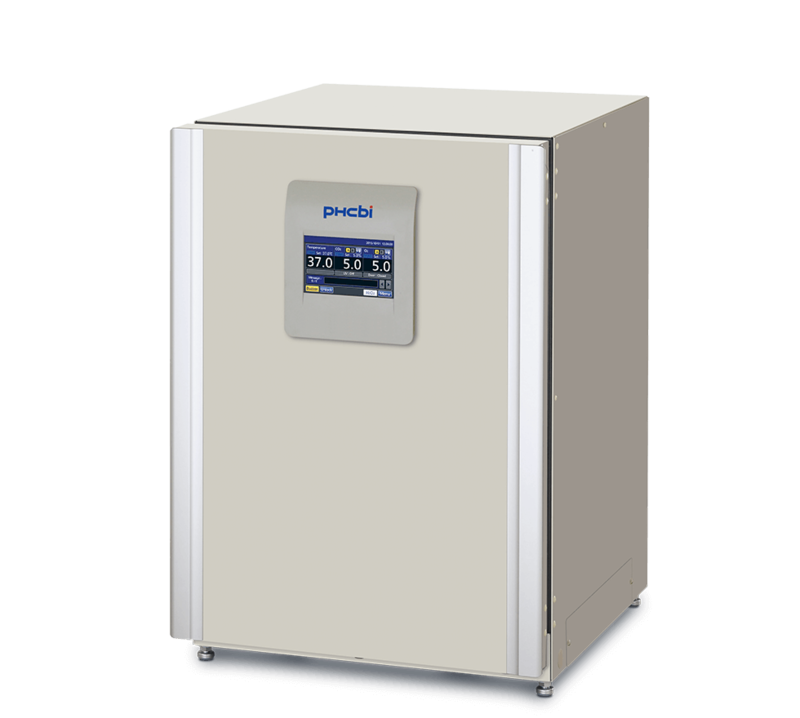 The control panel interface allows for easy programming of temperature, CO2, O2 and other internal conditions of your incubator. Proprietary IR2 sensor achieves ultrafast CO2 recovery without overshoot, even following multiple door openings. 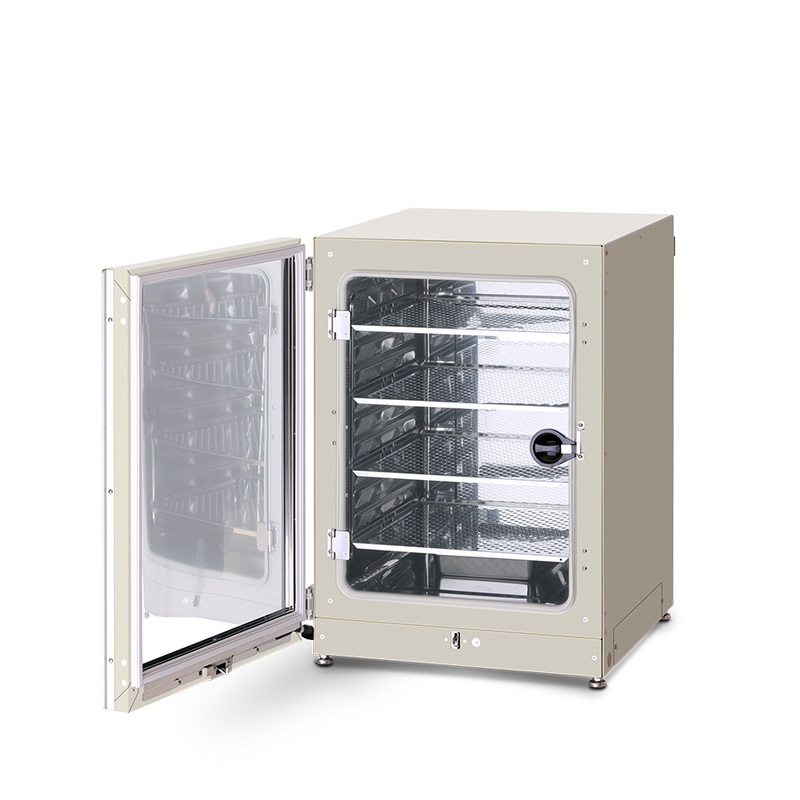 The PHCbi multigas incubators optimize mammalian cell cultures through variable O2 control to better mimic in vivo conditions for regenerative medicine and stem cell applications. The MCO-170M-PA CO2 O2 incubator allows you to achieve more accurate results by culturing your cells at physiological oxygen levels. For a copy of Benefits of Oxygen Control in the Cell Culture Incubator, click here to download. Price Upon Inquiry. Please contact your local dealers.